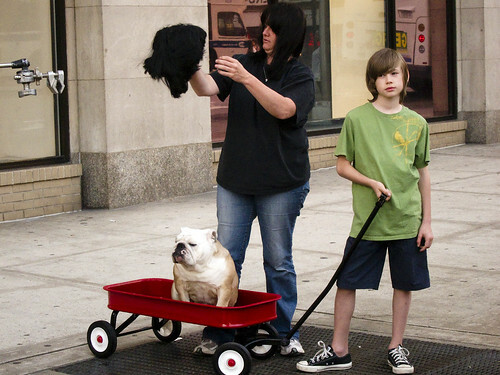 A dog, a wagon, and a wig, originally uploaded by zokuga. This entry was posted in visuals and tagged astor place, east village, photos on May 25, 2010 by Dan Nguyen. Who of the three is the wig for?